Lose Your Weight Fast: 5 Best Yoga Poses for Weight Loss! 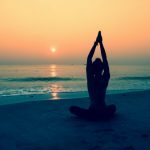 1 Best Yoga Poses for Weight Loss- What are they? Best Yoga Poses for Weight Loss- What are they? Crescent Lunge helps to reduce fatigue. The dynamic standing yoga pose utilizes and integrates the muscles in your entire body. This is a great pose because it creates so many variations of your body. The more you sink down, more it will take the stretch into your hips, which makes perfect poses preparing for splits. Just tilt the arms and hands back, that will take the stretch into your back. 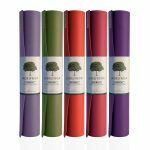 First, let me aware you to place a blanker if your knee is very sensitive or you can double up your yoga mat for extra cushioning. Raise both the hands above the head then inhale. Your arms should be kept in line with your ears. This pose is one of the best for balancing, digestion and working the core. The hardship lies mainly in keeping the legs and the back straight – creating a “V” shape. It requires a great amount of core strength. it also requires some flexibility so beginners may need to try it first with the legs bent before progressing. Stretches your hamstrings. This pose will Strengthen your spine and hip flexors. Stimulate the kidneys, thyroid and prostate glands, and intestines. Hips on the floor straight your legs in front. This pose requires a lot of core strength, leg and hip flexibility. The picture of Warrior III pose won’t tell you how tougher to hold that back leg up than you would think. Holding the straight line with the entire body while balancing on one leg is very very difficult. Try holding it just half minutes. Warrior III develops balance, posture, and full-body coordination. It extends the whole back side of the body, including the shoulders, calves, hamstrings, and back. Triangle Pose is one of the most crucial yoga poses for weight loss that works for multiple muscle groups. It Stretches legs, ankle joints, hips, muscles around the knee, groin muscles, spine, calves, shoulders, chest, and hamstrings. Twist your body so that the other hand touches the same foot that is currently forward in a triangle. Wheel pose offers many benefits to the body, mind, and spirit. It strengthens your muscles toning, arms, wrists, abdomen, legs, shoulders, and chest. If you’re a beginner, this perfect weight loss yoga pose will be difficult for you. Maybe it’s tough to perform but it will burn your fat very fast. Do not jump directly into this pose, do some warm-up poses for the back such as cobra, upward facing dog, and camel pose before doing wheel pose. You can also try Reverse Plank and Four-Limbed Staff Pose. These yoga poses are also helpful to strengthen the arms, shoulders, and the core. There is a proverb “the quieter you become the more you can hear. Too much weight creates so many problems. Everyone wants a flexible body to lead a happy life. Try to all the yoga’s that I have discussed here. 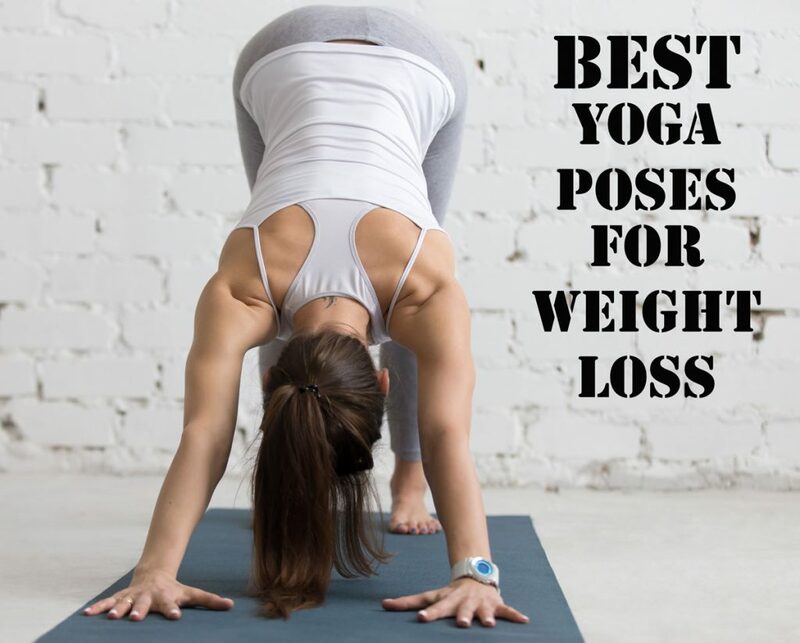 Trust me they are the best yoga poses for weight loss. If you are done with this article read our another article that will help you to become flexible and increase your strength.